After several false starts over this wet summer Jan and I finally had a good day for taking photos there on Sunday. It was cloudy and damp in the morning but a sunny afternoon and evening was forecast. We started at Salford Quays as the clouds cleared. Good shots of the modern bridges and buildings, including around the Lowry building and BBC media centre. 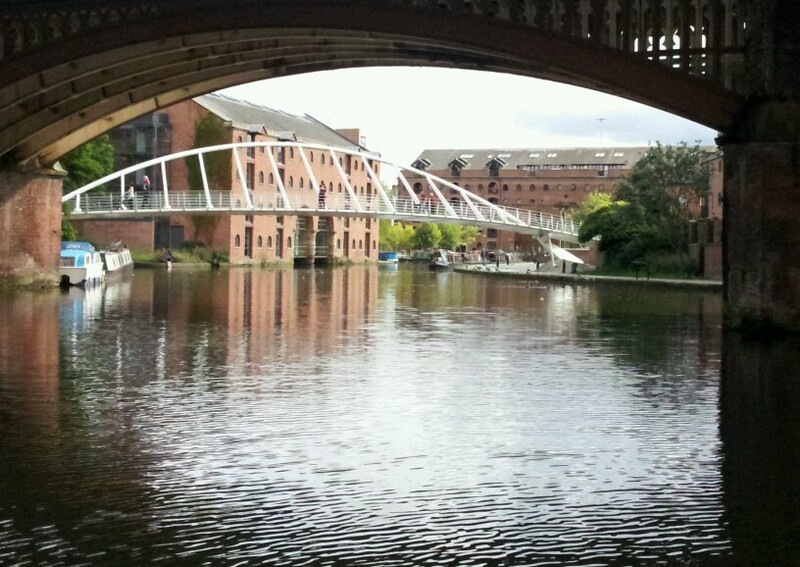 Castlefield was next and the old bridges and the new Beetham Tower. Then it was on to the Central Library. This is an impressive building but not at the moment – it’s being renovated. The entire building was shrouded in plastic, so no pictures are possible here until 2013. Shame, I had it pencilled in for an image in my new City Light book (pub. March 2013). We stopped at Wetherspoons for refreshment and an excellent Hazelnut and Coffee Porter from the Saltaire brewery. The Town Hall had good light for photos as the sky was clearing well now. I was engrossed taking shots with my trusty Mamiya 7 when someone spotted the camera and asked me several questions to help them decide whether to buy one. I have been using Mamiya 7’s and 6’s for almost 20 years so I like to think I’m a pretty good judge of their use for black and white. From here it was on to the Urbis and the Cathedral. 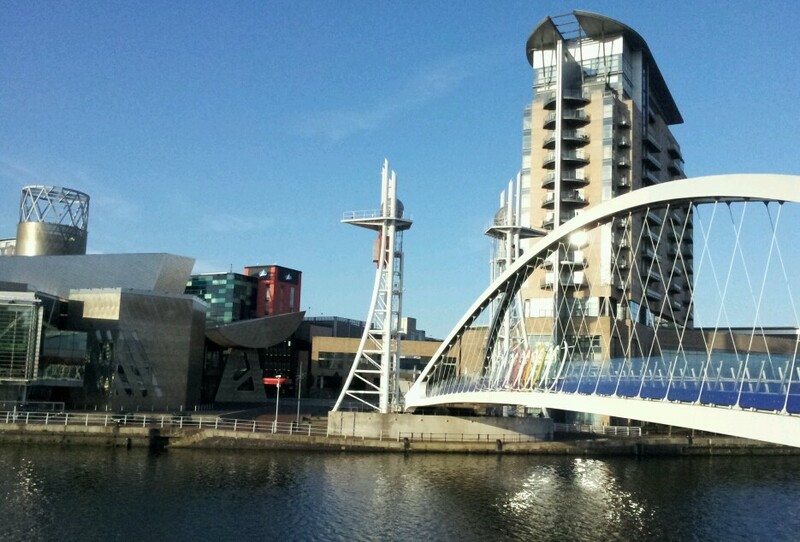 Then the very shapely Trinity Bridge and back to Salford Quays for a few end of day shots. 70 shots in total, may be a few weeks before I add them to the web or print any. A couple of phone photos are included here to give an idea of the locations. Sorry they’re in colour! Decided against staying on for night shots as my bad back was aching and I had 2 days of private courses coming up Monday and Tuesday. Maybe later in the year.